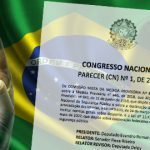 Despite the suspension of its sitting president, Brazil could vote on its new gambling bill as early as next month. 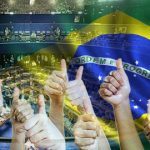 The Brazil Gaming Congress 2016 kicked off on Wednesday, and the progress of the country’s long awaited gambling legislation was front and center. Herculano Passos (pictured), a Social Democratic Party member of the Chamber of Deputies, said he expects the final draft of the gambling bill will be delivered next week, with a vote following in June. As written, the SB 186/2014 legislation would authorize the introduction of up to 35 brick-and-mortar casinos, 1,200 bingo parlors and 600k video bingo terminals, as well as an unspecified number of online sports betting, casino and bingo licenses. A separate bill, PL 442/1991, would repeal the ban on the popular numbers game jogo do bicho aka the ‘animal game’ lottery. The Congress is being held during the biggest political upheaval the country has witnessed in years. 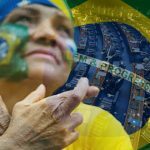 Early Thursday morning, Brazil’s senate voted 55-22 to suspend President Dilma Rousseff ahead of an impeachment trial on charges of corruption. 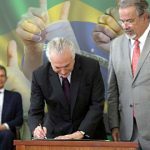 Vice-president Michel Temer will act as interim president while Rousseff’s legal fate is decided. Brazil is considered the great white whale of Latin American gaming markets and Wednesday saw a presentation that attempted to quantify just what’s up for grabs. 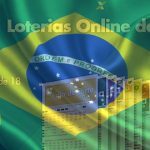 According to Magno Jose Santos de Souza, president of the Legal Gaming Institute, the country’s approved gambling options are worth $4b per year, with the vast majority ($3.85b) coming via the Caixa Economica Federal Lottery, with state lotteries adding $111m and turf (aka racing) worth about $86m. Brazil’s illegal gambling market is said to be worth around $5.7b, of which $3.24b comes from jogo de bicho. The country’s estimated 220k illegal slot machines are reportedly generating over $1b per year, while online gambling sites contribute around $875m and illegal bingo operations produce $370m. De Souza claimed that the proposed regulation of heretofore illegal gambling products could boost the country’s annual market value to $16.8b, from which the cash-strapped government could reap around $5b in annual tax and licensing revenue.